Nearly 60 attendees at ARTBA’s Nov. 7–8 Central Regional Meeting in Chicago discussed funding, autonomous vehicles, cybersecurity, hyperloop and the overall future of work in transportation construction. 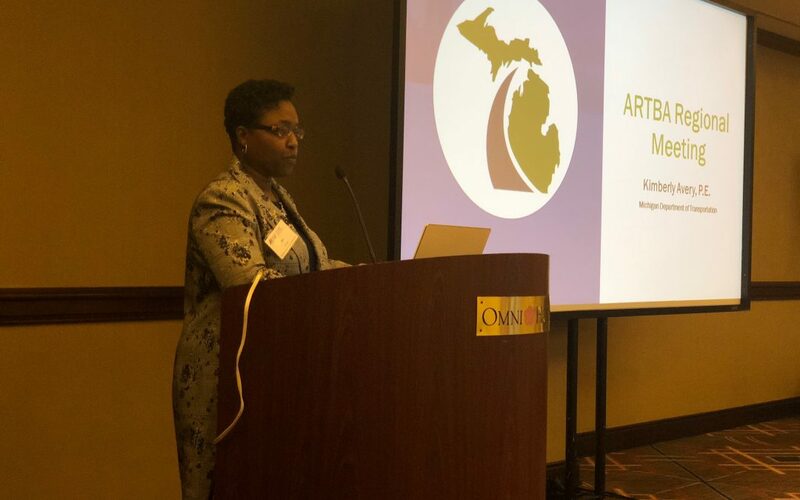 Kim Avery, bureau field services director at the Michigan Department of Transportation, highlighted the work the state is doing to test and prepare for autonomous vehicles. Some of those goals include serving as a national model to catalyze connected and autonomous vehicle (CAV) deployment and to use the Michigan experience to lead dialogue on national standards and best practices. Attendees also heard presentations on the Hyperloop technology and the Rapid Speed Transportation Initiative on Ohio. Bryan Nicol from Deloitte said as transportation models change, the workforce will need to adapt, and transportation agencies will need to establish new positions, such as “autonomy engineers” who can plan, deliver, operate, or maintain connected and autonomous infrastructure and technology. Presenters Garry Boehlert and April Doss, both partners at Saul, Ewing, Arnstein & Lehr, warned about the increased risk of cybersecurity threats on the transportation design and construction industry, and discussed how the industry can better prepare for potential cyber-attacks. Attendees also heard from the Illinois Tollway Executive Director, the Deputy Secretary from Illinois Department of Transportation; and, received market, legislative and regulatory updates from ARTBA senior staff.